Dance Industry has begun to rock the dance world with their unique dance teams not only locally, but nationally as well. Their main goal is not only to teach each student to not only become great dancers & entertainers, but to also know that within them self is a very unique person. 3. Events - Ability to display events in calendar form for easy viewing by users. 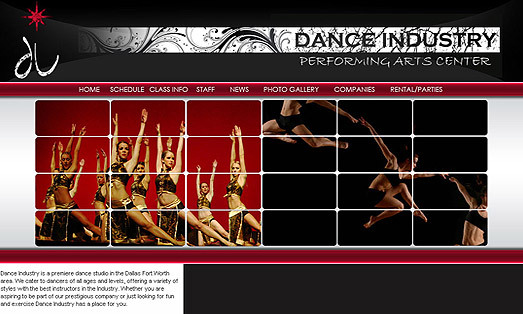 Segnant created a website for Dance Industry that allowed them a place to sell their products and give more information to their students.